Call all Artistic & Executive Directors, Producers, Choreographers, Teachers, and Technical Directors! 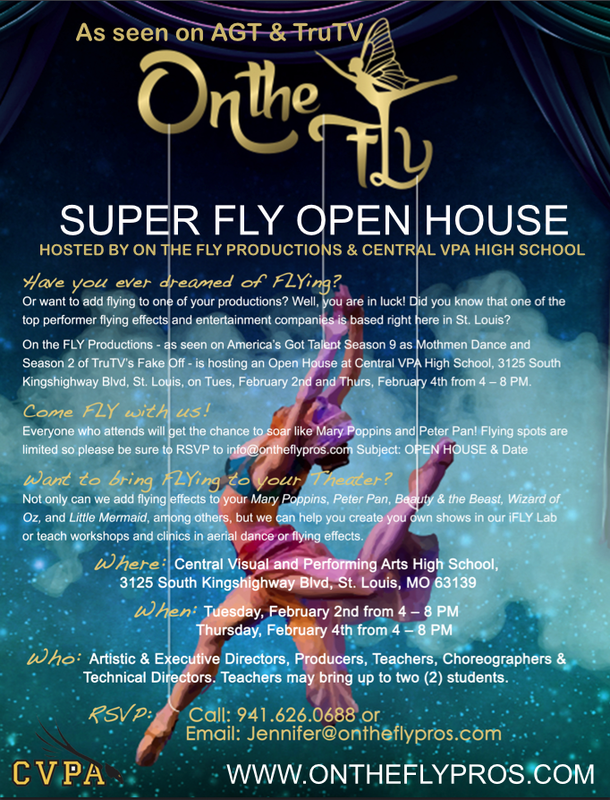 On the FLY is hosting an Open House at Central Visual Performing Arts High School, 3125 Kingshighway Blvd, St Louis on Tuesday, February 2nd and Thursday, February 4th from 4 - 8 PM. Teachers may bring up to two students with them. Everyone who attends will get a chance to FLY like Mary Poppins or Peter Pan on our VIP Systems! Spots are limited! RSVP below. (SUBJECT: Open House & Preferred Date). Want more info? Submit your email and someone will contact you shortly to discuss our services.